Please both coffee drinkers and hot chocolate fans alike with Hazelnut-Chocolate Java. And no one needs to be left out either, because this is a Healthy Living recipe. Bonus tip: You can serve Hazelnut-Chocolate Java either hot or cold. Empty cocoa mixes into large heat-proof pitcher. Add coffee; stir until mixes are completely dissolved. Pour 1 envelope hot cocoa mix into large cup or mug. Add 1 cup hot freshly brewed coffee; stir until mix is dissolved. Prepare drink as directed; cool completely. Refrigerate until ready to serve. Serve over ice cubes in tall glasses. For a coffeehouse touch, stir each with cinnamon stick. 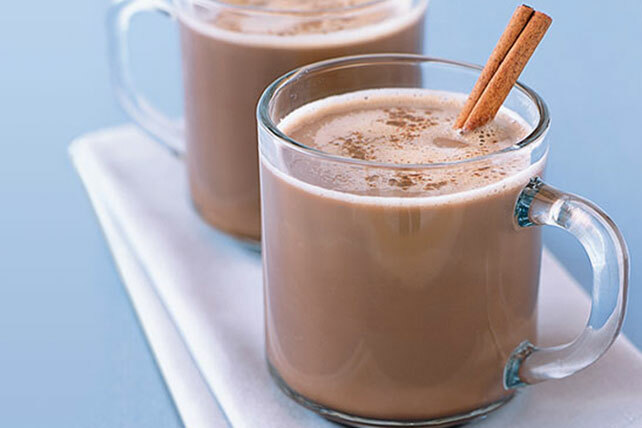 The No-added-sugar cocoa mix adds great chocolate flavor to this soothingly warm low-fat drink.